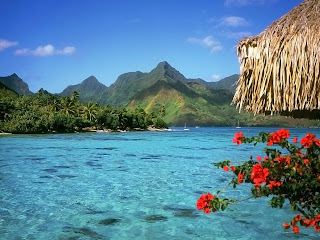 Tahiti is the largest island in the Society Islands group, located just between Los Angeles, California and Sydney, Australia. 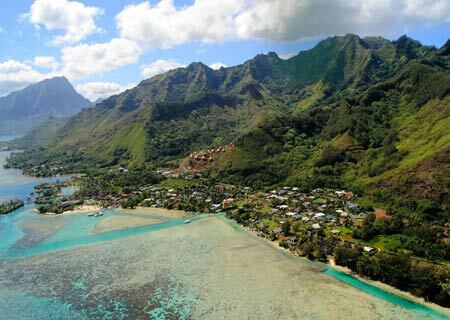 Along your cruise through the French Polynesian Island group, you will stop at Papeete, the capital of the island where you can expect to see lush greenery covering the island creating a beautiful landscape. 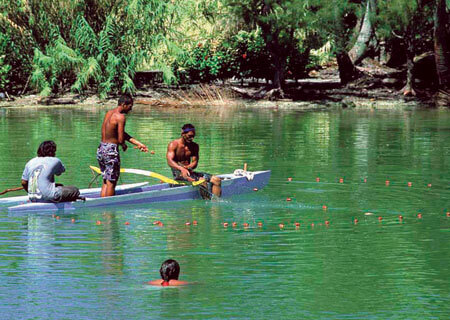 Tahiti offers a variety of activities and things to do on the island. Grab a set of clubs and take on a game of golf. Tahiti is home to one of the only places in the French Polynesian with a golf course. If you are wishing to take the scenic tour of Tahiti, perhaps a hike to discover hidden valleys and waterfalls is an activity you would enjoy. Explore the tallest mountain in the French Polynesian, Mount Orohena, or spend the day at the famous surf spot in Teahupoo. 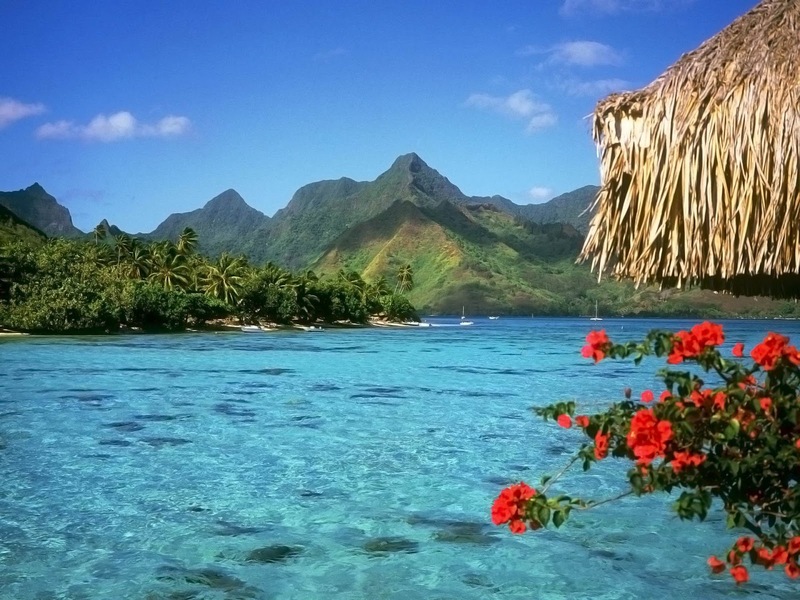 Tahiti is a wonderful place to visit and explore for everyone offering a variety of activities and adventures. 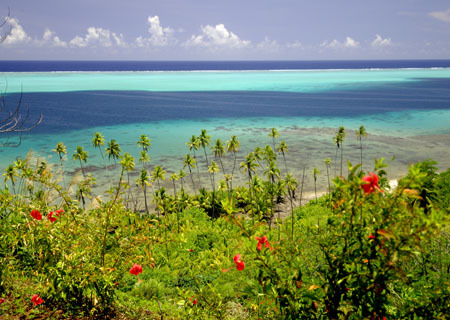 Lush forests, untamed landscapes, and quaint village towns cover the island of Huahine. During your visit to the island, check out the harvests of vanilla, melons, and bananas, the island provides rich soil producing the right mixture to produce these crops. Few residents on the island of Huahine, but nonetheless, they still have the welcoming and hospitable spirit towards tourists the French Polynesian is known for. 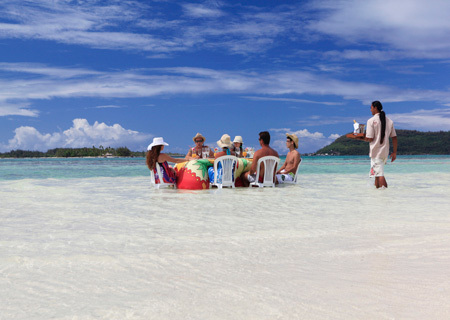 White sand beaches, and azure waters surround the island creating a beautiful picturesque destination ideal for tourists. 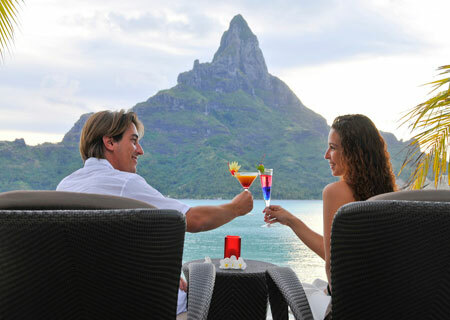 Known as the honeymooner’s paradise, couples all over the world travel to see the unbelievable sights the island of Bora Bora has to offer. White sand beaches, beautiful crystal blue waters, towering palm trees, and blossoming hibiscus covering the slopes and valleys are a few sights you can expect to see as you cruise up to the island. Upon arrival to the beautiful, romantic island of Bora Bora, take a look off the side of the ship for the huge Manta Rays, vibrant tropical fish, and coral gardens decorating the ocean floor below. 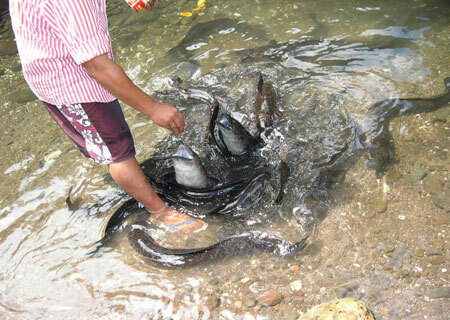 You will know when you have arrived to the island of Taha’a by the sweet aroma of vanilla lingering in the air. Cruise over to the magical island of Moorea and as you arrive, look towards the sky to see the charming birds of paradise and the exquisite mountain ridges. Explore the island to discover the pastel painted houses that are surrounded by gardens of hibiscus flowers. And before departing the island, make sure to find one of the many waterfalls flowing gently down the fern covered cliffs! Known as the sacred island because of the rich cultural and historical significance. The island is home for many rare and indigenous flowers and plant species, host of the largest outdoor temple in the Polynesia called the Taputapuatea Marae, and traces of the historical past of Raiatea still exist. This is the island adventurous travelers will love! See the inner jungle on a 4-wheel drive adventure, hike to Mount Temehani to see the sacred flower whose only existence is on this island, or wind through the rainforest on the Faaroa River by boat, canoe, or kayak. 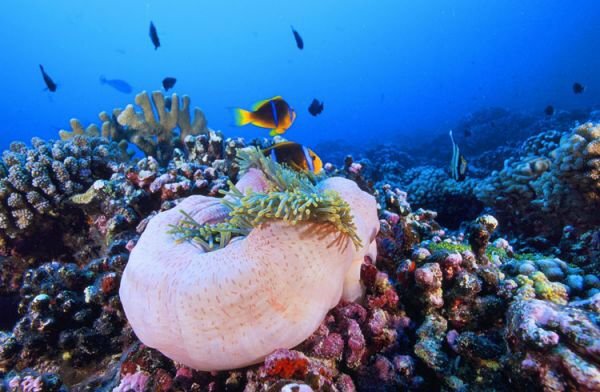 If you enjoy the life under the waves, snorkel or scuba by the reef between Raiatea and Taha’a. Here is where you will find multiple marine species, caverns, drop-offs, and famous ship wrecks. This is the perfect island to experience unforgettable adventures. At the end of the day, you can retreat back to the ship to enjoy a gourmet meal and relax in luxury as you cruise toward your next destination. Off the coast of Rangiroa, you can expect to swim with one of the most favored marine species, the dolphin. 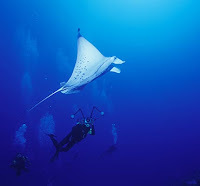 Another beloved to see is the Manta Ray. Manta Rays are the largest rays in the world, and feed on plankton, which is why you typically see them hanging out in the lagoon at Rangiroa. 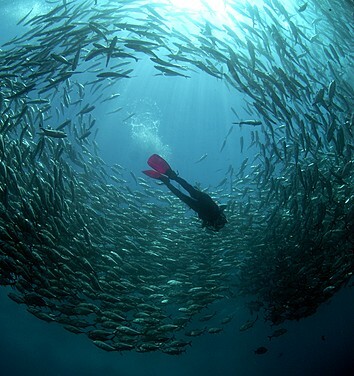 Seeing the beloved marine animals in the wild in their natural habitats is always a trilling experience for everyone. Fakarava, is an untouched world where nesting birds and marine life live in perfect harmony with the land and water. The rich ecosystem is home to rare birds, plants, and crustaceans offering explorers unbelievable opportunities for sight-seeing. The environment of the island is very pure and designated by UNESCO Biosphere Reserve for the preservation of rare species. The story of Paul Gauguin Cruises began in the South Pacific. But it does not end there. Today, the distinctive island spirit of the South Seas is also charting a course for the Caribbean, Latin America, and Europe. Each of the Paul Gauguin ships was built to maneuver from open ocean to intimate ports as nimbly as a yacht, bringing you closer to your destination than any larger vessel can. Your luxury experience begins the moment you step foot on board, where you’ll be enveloped in an atmosphere that is at once luxurious and relaxed. Each and every element of the newly renovated ships – from the simple, yet elegant décor of the public areas to your spacious, ocean view accommodations – has been artfully crafted to complement the natural beauty of your surroundings. Guests aboard the cruises often speak of the outstanding hospitality and exquisite attention to detail. With one of the highest at sea crew-to-guest ratio, the dedicated crew is committed to ensuring that every guest experience aboard The Gauguin and The Moana is nothing short of first class. Special Occasions: Whether you are celebrating an anniversary, wedding, honeymoon, birthday, or family reunion, we can arrange any of a variety of gatherings to suit your style from a cocktail party to a festive dinner or private celebration. 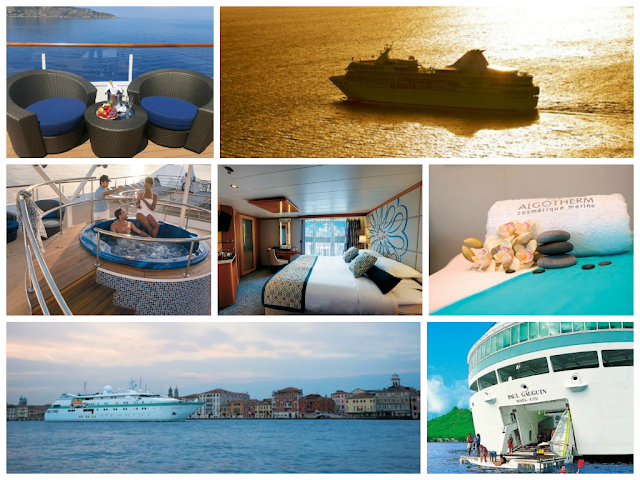 All Inclusive: Enjoy many accommodations and amenities all included in your fare aboard the Paul Gauguin and Moana. Spacious, ocean view accommodations. All shipboard meals, in your choice of venues. 24-hour room service. Beverages, including select wines and spirits, soft drinks, bottled water, and hot beverages served throughout the ship. Shipboard entertainment. Gratuities. Luxurious onboard spa. Fitness center. Piano and Pool Bars. Exclusive Private Retreats: Relax in the shade of a palm tree, unwind to the songs of the Gauguines, indulge in a motu massage, or float the day away in the aquamarine lagoon. When refreshments are a necessity, enjoy a cocktail from the floating bar. In Bora Bora, guests aboard The Gauguin have access to Paul Gauguin exclusive, private beach on a motu off the coast of the island. There’s nothing better than relaxing on the white-sand motu and admiring Bora Bora’s postcard-perfect scenery from across the crystal-clear turquoise lagoon. Life Beneath the Waves: Polynesia’s translucent, turquoise lagoons are begging to be explored. The Paul Gauguin master ship provides complimentary snorkeling equipment to all guests on every departure. You are also invited to board a Zodiac for an optional scuba adventure. Scuba excursions are designed for all levels of experience, and the luxury ship in the French Polynesian islands to offer onboard refresher courses, as well as PADI certification for novices. Continue following our blog to learn about the different locations Paul Gauguin cruises takes guests to explore. Explorers, navigators, adventure seekers… We have found an extravagant new destination for you! Anyone looking to explore and experience the natural environment and cultural surroundings of South America is sure to love one, many, or all of the adventures Explora offers. Take in the striking views around you as you experience luxury, tranquility, and relaxation while staying at the Hotel de Larache. 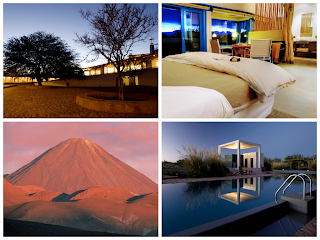 You will need your rest to be able to explore everything Atacama has to offer. With high and vibrant volcanoes, salt flats, lagoons and ravines perfect for exploration, tourists coming to discover Atacama can take in the sights by horseback, bicycle, or foot. Explora accommodates everyone offering the perfect adventure … providing explorations that are gentle and last only a couple hours to the more physically demanding which last a full day. Located in the heart of the Torres del Paine National Park, the Hotel Salto Chico, affords you with the most bizarre scenery as you relax and let the landforms and wildlife encompass you. A stay at one of the least populated areas of the world creates an experience unlike any other. You are surrounded by the natural environment gazing at mountains, glaciers, lakes and rivers like you have never witnessed before. 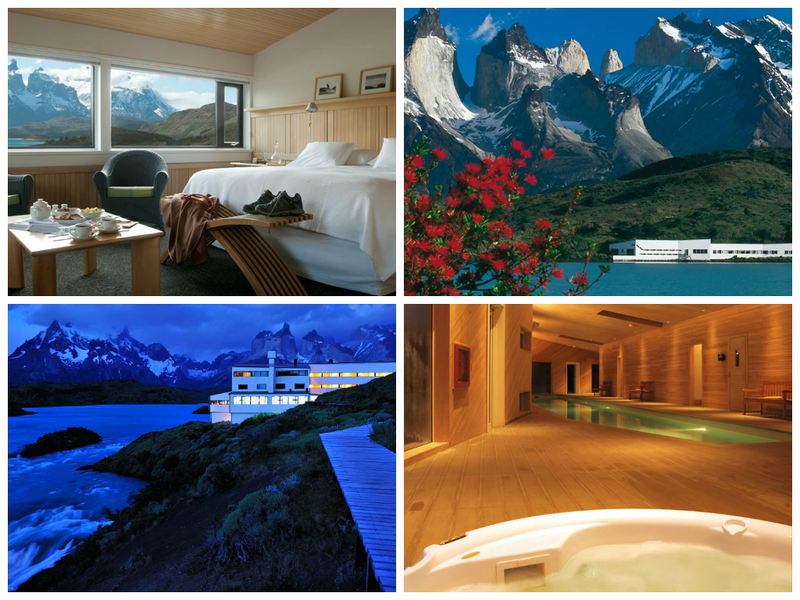 If you are trying to get away from the “hustle and bustle” of everyday life, Patagonia is the unspoiled location to find tranquility perfect for clearing the mind and understanding the natural beauty of our earth. 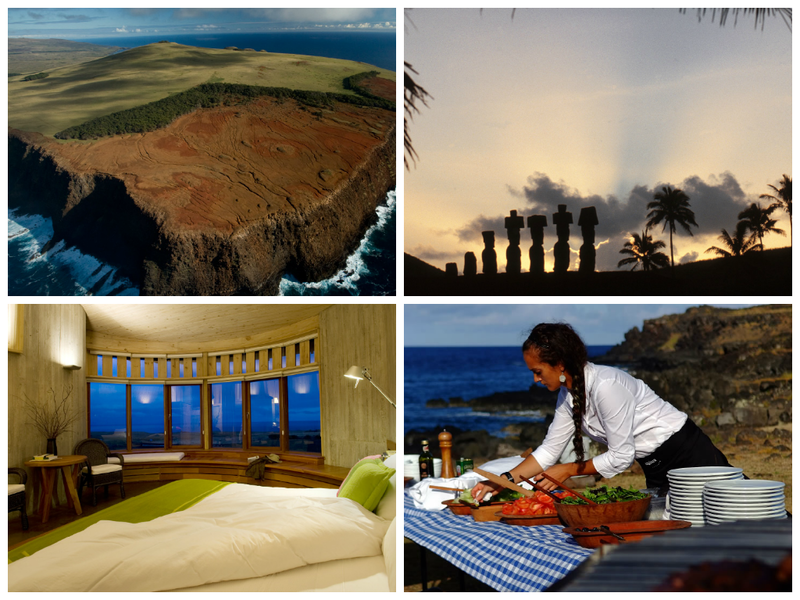 Not your typical island vacation, the Pacific island of Rapa Nui is approximately five hours by plane from the coast of Chile or the island of Tahiti. Home to various marine wildlife, plant species and a rich cultural environment, the island is overflowing with diversity! Come and experience the unique island as you discover the various forms of originality expressed through cuisine, sports, dance, music, ceremonies, craft work, and the native language. 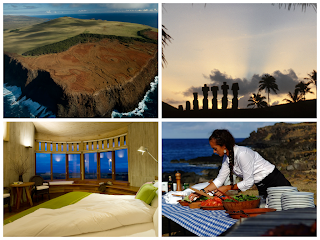 Afterwards, dive in to the deluxe accommodations provided for those on the explora tour of Rapa Nui. 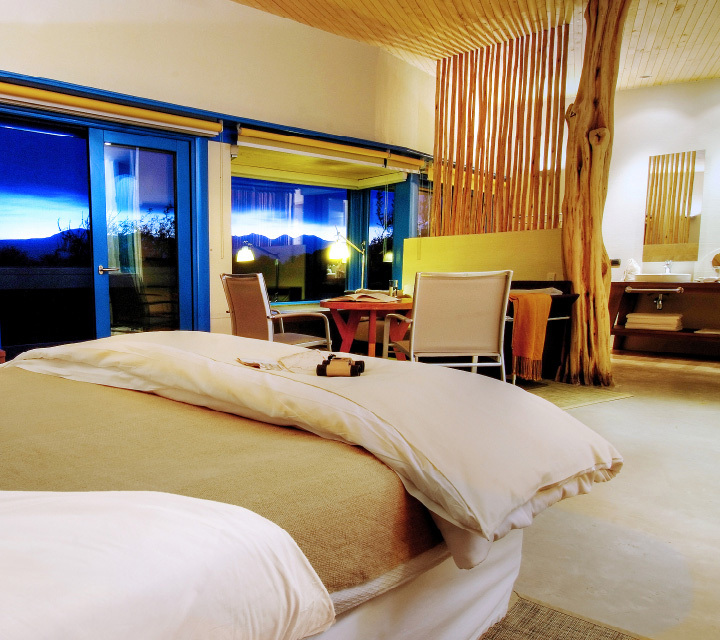 The resort Posada de Mike Rapu offers a serene setting to unwind and relax from an eventful day of exploration. The sailing capital of the world is a title the British Virgin Islands are glad to represent. Fair weather and constant winds make nautical travel between the numerous islands a breeze! 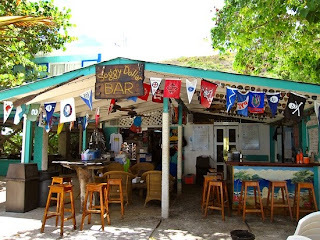 Day trips to surrounding islands by ferry boats can add the right amount of adventure to any trip allowing you to explore the natural attractions. While there is plenty on land to explore, beneath the sea offers a whole other world to discover. The secluded coves of the BVI provide outstanding underwater visibility and a wide variety of exotic dive sites. Among the many underwater secrets include countless reefs, towering coral pinnacles, underwater caves, canyons, and more than 100 dive sites. Whether you are a novice snorkeler or skilled scuba diver, the treasures beneath the sea will provide an extraordinary experience. Breaking the world record with catches like the Atlantic Blue Marlin, the islands are known for outstanding fishing. 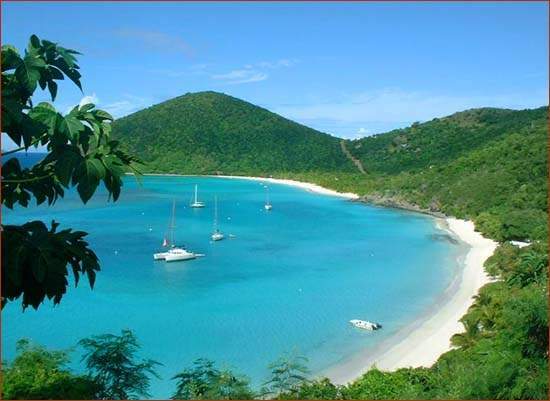 Secret fishing holes tucked into shallow crevices to renowned deep water spots, the British Virgin Islands provides fishermen fruitful waters to catch the various species of fish swimming below!